Bulgaria could add up to 100 troops in Afghanistan in 2010 and will consolidate its military contingent there in Kandahar, Defense Minister Nickolay Mladenov said Tuesday. “In the beginning of January 2010 the Ministry of Defense will request the Council of Ministers our mission in Kandahar to be increased with 20 or 30 troops, and later there will be another request for 50 or 70 people more, so up to 100 troops will be added next year in Afghanistan,” Mladenov told a video and telephone conference with heads of the Bulgarian military missions abroad, opened for journalists. According to military daily news, such consolidation will reduce the mission’s cost, and will provide more security and political weight to Bulgarian contingent in Afghanistan. Bulgarian forces in Kandahar work successful with their U.S. allies and this was the main reason why this city will be selected as the single Bulgarian base in Afghanistan, Mladenov said. 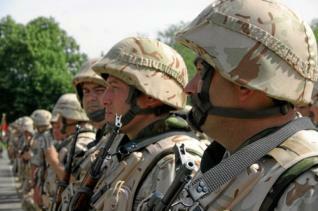 At present 643 Bulgarian soldiers are stationed in Afghanistan, Kosovo, Bosnia and Herzegovina, and Georgia. About 300 of them are based in Kabul and 200 in Kandahar.